Yaaaay Halloweens here and I haven’t even carved a pumpkin this year something’s not right!! So today I’m going to be sharing with you my top five Halloween movies most of my favourite scary movies are old ones. I personally think they’re better than the new scary movies that come out. I’m not going to say what they’re about because it might ruin it however if you love scary movies then go and check them out. 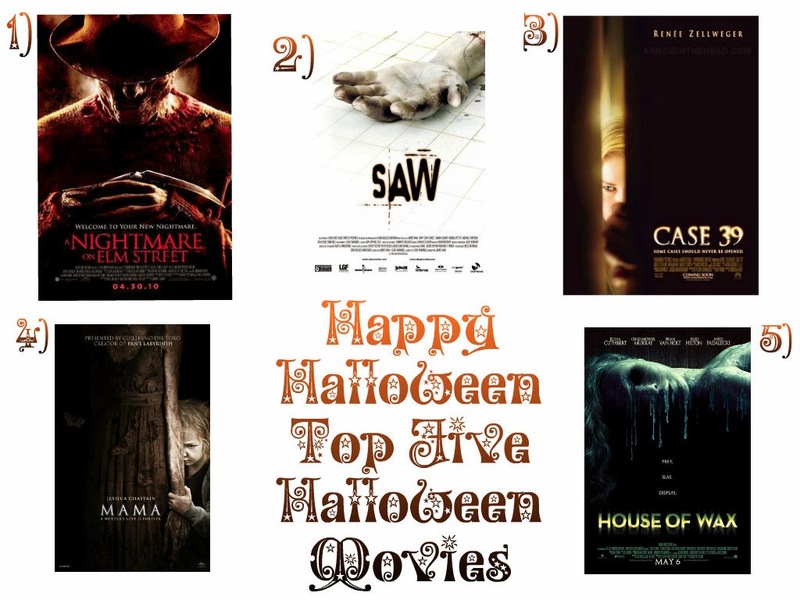 So those are my top 5 Halloween movies yes I know that they might not be as scary as movies that other people watch. However I’m not a great lover of horror/scary movies because I just don’t like them it’s as simple as that haha. "Halloween 2013 | The Halloween Tag"